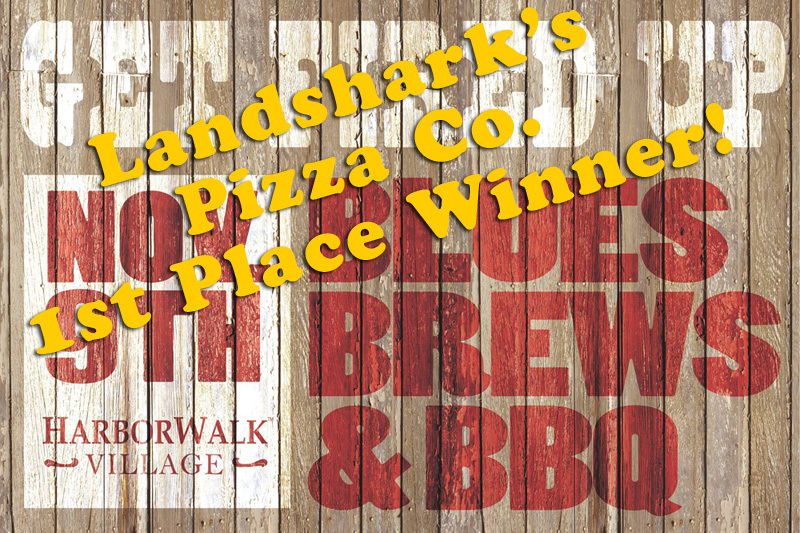 / Best Calzone in Destin FL / STEIN HOIST CHALLENGE FRIDAY AT LANDSHARK’S! 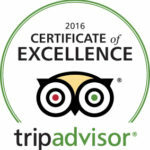 $6.99 Mini-Calzone Two-Topping & GAME-TIME SPECIALS! STEIN HOIST CHALLENGE FRIDAY AT LANDSHARK’S! 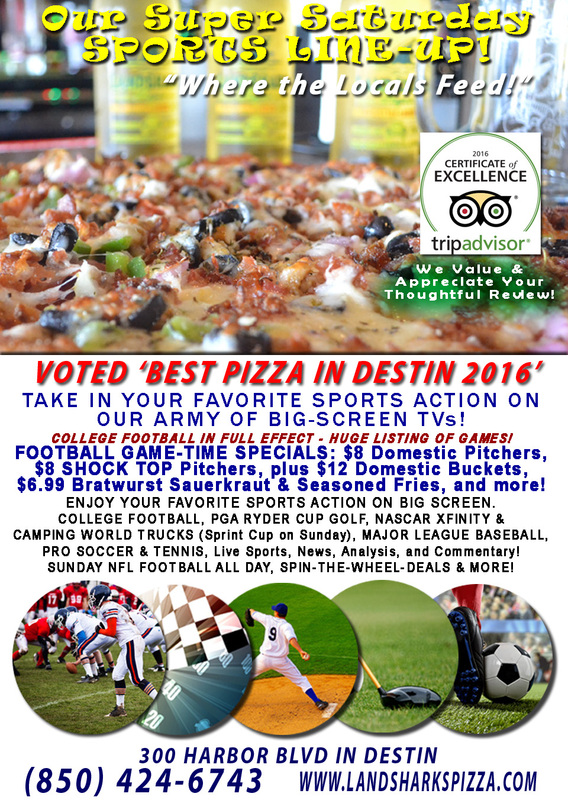 $6.99 Mini-Calzone Two-Topping & GAME-TIME SPECIALS! 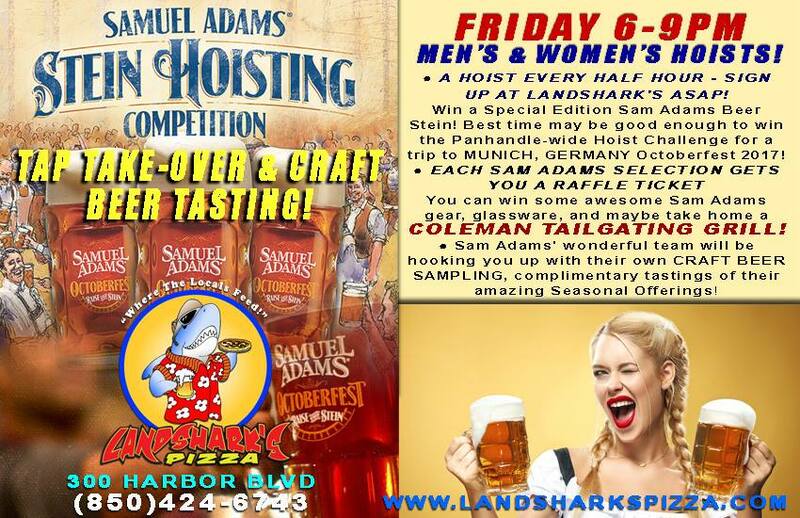 SAM ADAMS OCTOBERFEST STEIN HOIST CHALLENGE FRIDAY AT LANDSHARK’S! 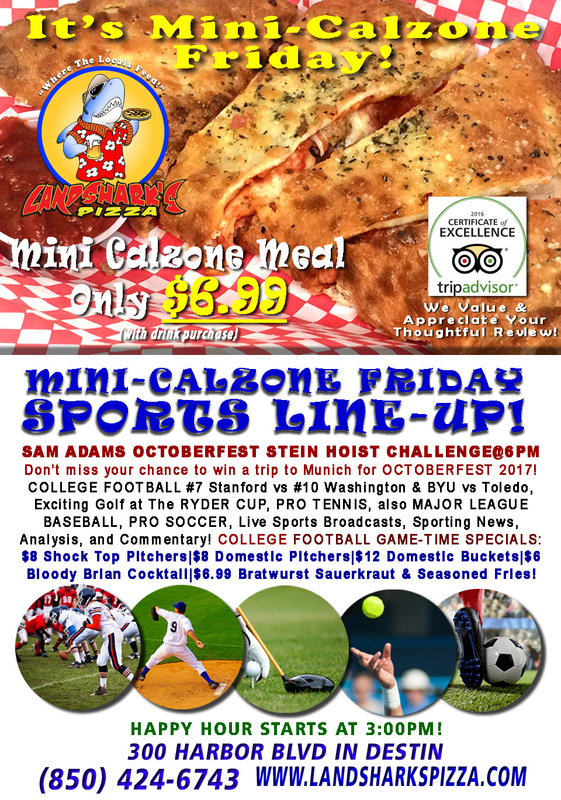 $6.99 Mega-sized Mini-Calzone Two-Topping Flavor Fest & COLLEGE FOOTBALL GAME-TIME SPECIALS! SAM ADAMS OCTOBERFEST STEIN HOIST CHALLENGE IS TODAY@6PM – SIGN UP for your chance to lift your beer to adventure! IF YOU CAN HOLD UP A BEER MUG YOU HAVE A CHANCE TO WIN A TRIP TO 2017 OCTOBERFEST IN GERMANY! 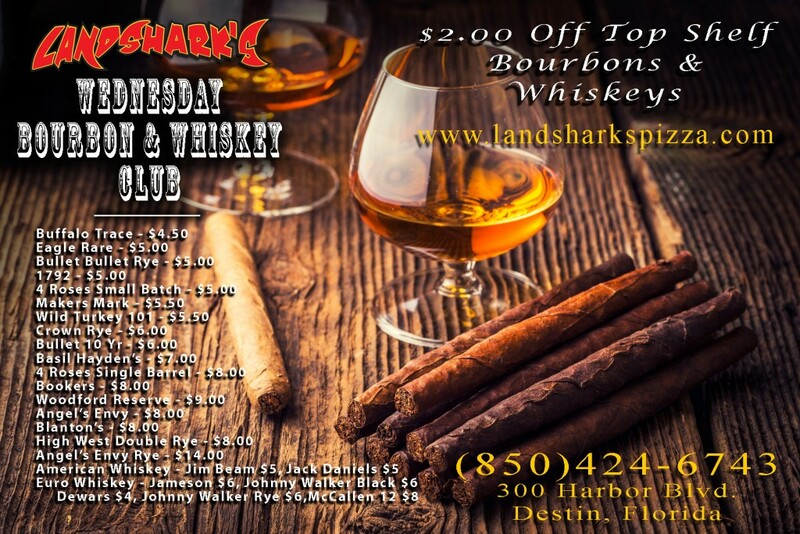 COME JOIN US AND SIGN UP AT LANDSHARK’S FOR A GOOD TIME AT 6PM! Buy a Sam Adams label product and get a raffle ticket each time to win Sam Adams gear, glassware, or A COLEMAN TAILGATING GRILL to take home! Complimentary samplings of Sam Adams’ Seasonal Offerings! SPORTS ON OUR ARMY OF BIG SCREENS – We’ll be crankin’ COLLEGE FOOTBALL #7 Stanford vs #10 Washington & BYU vs Toledo! PGA TOUR RYDER CUP Starts TODAY! 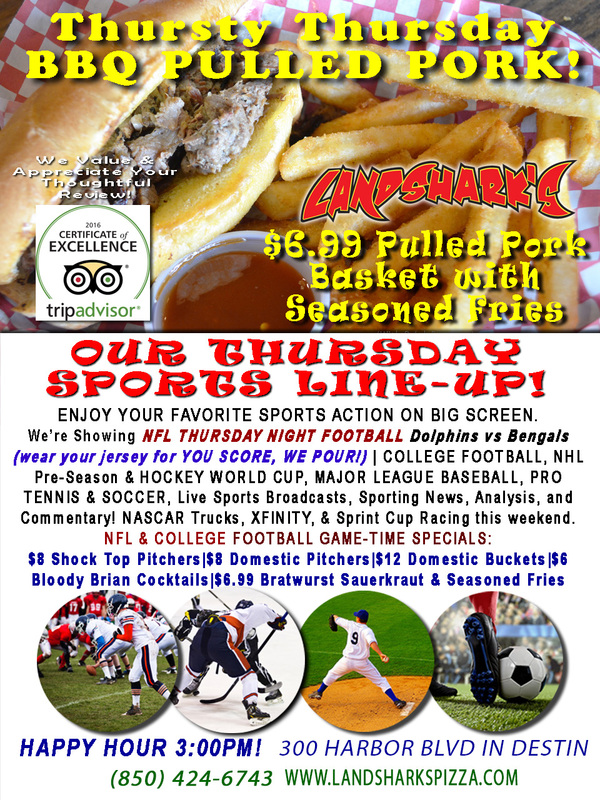 Also MAJOR LEAGUE BASEBALL, PRO SOCCER, TWO PRO TENNIS EVENTS, plus plenty of other Sports Broadcasts, Sporting News, Analysis, and Commentary! Pro Tennis All Week: ATP Shenzen Open & ATP Chengdu Open – cuz, y’know, we’re all envious those ladies and gents get to hang out and play tennis in…where, again!? Don’t matter – it’s SPORTS, man! NASCAR This Week: NASCAR Saturday Camping World Trucks Series DC Solar 350 Racing at Las Vegas Motor Speedway|Saturday XFINITY Series Drive Sober 200 Racing & Sunday Sprint Cup Series Citizen Soldier 400 Racing at Dover International Speedway. More NFL This Week: Full plethora of Sunday games and Monday NFL features GIANTS vs VIKINGS. College Football This Week: A veritable cornucopia of Saturday games on the way. NHL HOCKEY This Week: A little Pre-Season action, and NHL REGULAR SEASON OPENS OCT 12th! NBA Season Starts October 25th! PRE-SEASON Games start this Saturday, October 1st & running through the 21st. 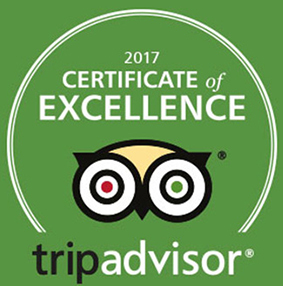 Previous Post: « Destin THURS NIGHT NFL & COLLEGE FOOTBALL SPECIALS|MLB|Soccer|Award-Winning BBQ Basket $6.99 Pulled Pork Basket!